When you think of the Beckwith Butcher, its natural to think barbeque. But open year round, the Beckwith Butcher is the go to place for local meats and other local food stuffs all year long. From sausages, bacon, jerky, hamburgers, London broils and ribs to a variety of steak spices, cheese and decadent desserts, the Beckwith Butcher sells local products from Lanark Country and surrounding areas. Carpenter first got involved in the meat industry when he about 18 years old because it was a good way to earn money. Now decades later, he said he absolutely still loves the job – even though some things are changing. Carpenter says he has seen a lot of farms in Lanark County disappear through out the years. People are busy and often the lure of one-stop shopping can be appealing. It’s important to know the quality and history of the food we consume now more than ever, Carpenter said. A small butcher shop knows these details and is excited to share them. Along with buying delicious products, the Beckwith Butcher is a great resource for any butcher-related questions! Rob and his team know the best cuts to buy for specific dishes, the amount to prepare for a party of a particular size, how long to cook it and the drinks and side dishes that pair best with it. “I fear that if people stop buying locally, butcher shops won’t exist in 20 years,” Carpenter said. 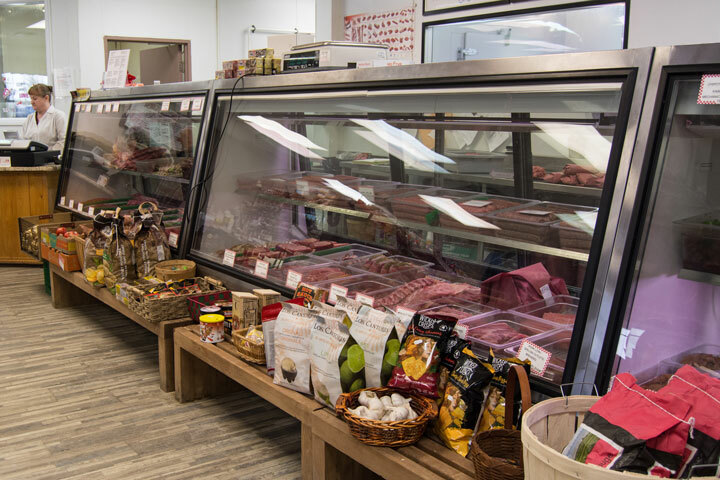 That’s why the Beckwith Butcher prides itself on its fantastic customer service, the knowledge of its products, its reasonable prices, and of course the exceptional quality of its local products, Carpenter said. The success of the butcher shop is thanks to loyal customers who continue to support small local businesses, he added. For everything you need for your BBQ cookouts any time of the year, stop by the Beckwith Butcher to see Rob Carpenter and his team.